We all have heard that we need to stay active to stay healthy. But while that advice is good, many of us have felt limited by the amount of options that there are out there, not knowing what all of the options even are. That is why if you have ever considered playing hockey, you should start now. Hockey has many health benefits, even though it is often given a false reputation for being a dangerous sport. We asked the team over at Hockey Homie what health benefits you can get from playing hockey and this is what we learned. Cardiovascular Health: We all know our heart needs to be healthy. When you do any kind of aerobic exercise, your heart, which is a muscle, will get a workout. It will also pump important oxygen all throughout your body, increasing your longevity. Psychological Health:Hockey is a great way to clear your mind off of your daily worries and put your focus onto the moment. Combined with the camaraderie that you will feel from being a part of a team, hockey can definitely improve your mental health. Confidence:Playing in a team in any sport can be a boost to your confidence. In hockey, your place on the team is established. You have a specific role and are needed on the ice. A healthy level of confidence on the ice will easily carry over to other areas of your life. Balance and Coordination:Moving at high speeds on two steel blades requires a great deal of balance. When you mix it with holding a stick, hitting a puck, skating around others, and even skating backward, your coordination is going to increase in ways that you would have never even imagined was possible. 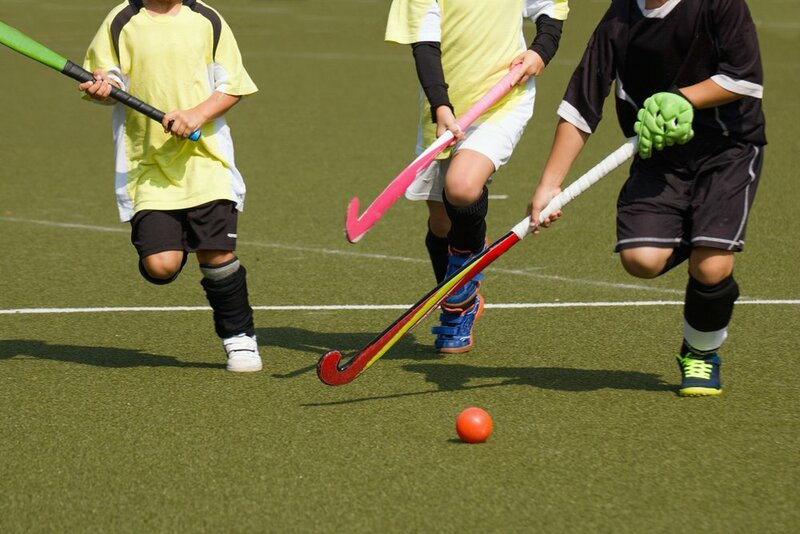 Strength and Agility:Playing hockey is an excellent way to build your leg strength, from your calves on up. You will also increase the strength and endurance of your shoulder muscles, triceps, and even your hands. Strength is something that you also will carry with you off of the ice, positively affecting other areas of your daily schedule. Healthy BMI:Obesity is a constant threat to people all across North America. Having regular physical exercise in a positive environment can help you to lose weight and help you maintain a healthy BMI. Ultimately, a healthy BMI will lead to a longer, healthier life. Outlook: You might not have considered your outlook on life to be related to your health, but it absolutely is. Working on a hockey team, you will gain positive reinforcement from your teammates, helping you learn how to control your attitude. This skill carries over to everything you do. Friendships: It can be hard to make friends at any age, but when you play on a hockey team, you have options for friendships with you on a regular basis. You know that your teammates have similar interests as you already, so you will have a change to convert teammates into actual friendships. Having a social life will also improve your overall physical and mental health. When it comes down to it, why would you even question the health benefits of hockey? There are too many to count from such a positive and active sport. You should start playing today.